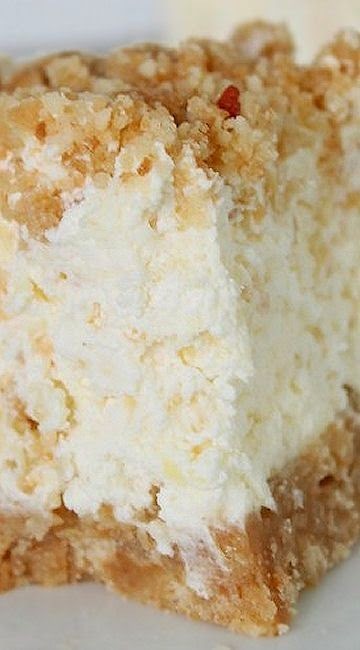 Fluffy Cream Cheese Dessert | FoodGaZm.. When I was little, I loved it when my Mom made treats. We would always stand around the kitchen counter and wait until she was done mixing so we could lick the batter out of the bowl or from the beaters. Now that I have my own kids, I find them doing the same thing with this yummy treat! I will tell you... they licked their beaters and spoons clean! This dessert turned out delicious!!!! Beat the cream cheese and butter together until very creamy. Turn the mixer down to low and add the powdered sugar one cup at a time until it is all mixed together.